Militant anti-whaling group Sea Shepherd said Wednesday it had zeroed in on the Japanese fleet before a single mammal had been killed, claiming an early victory in their annual Southern Ocean battle. Sea Shepherd claims to have saved the lives of 4,000 whales over the past eight whaling seasons with its harassment campaigns against the harpooners. The environmentalist group said the Brigitte Bardot, a former ocean racer, had located the harpoon ship Yushin Maru No. 3 at a relatively northern latitude and they were now tailing the fleet. Its sister ship Bob Barker was pursuing the Nisshin Maru factory vessel, some 250 kilometers away. “The Japanese whaling fleet is now scattered and being chased by the Sea Shepherd fleet,” the group said. Jeff Hansen, co-director of the anti-whaling campaign, said Sea Shepherd’s four ships had been guarding approaches to the Southern Ocean Whale Sanctuary and the Japanese had been unable to pass. The 50-million-square-kilometer sanctuary, which surrounds Antarctica, covers an area five times the size of the United States. “We have visual confirmation from the crew of the Brigitte Bardot that the harpoon mount on the Yushin Maru 3 is tarped up and has not been loaded, meaning that the fleet hasn’t begun firing their harpoons,” said Hansen. With Sea Shepherd in pursuit, Hansen said the Japanese had just one day left before January—traditionally a peak harpooning month—would pass for the first time without a single whaling death. “The first 24 hours of contact with the whale poachers have been a victory for Sea Shepherd and a complete loss for the Japanese whaling fleet,” said Brown, a renowned conservationist and founder of Australia’s Greens party. Brown assumed leadership of the anti-whaling campaign from fugitive Sea Shepherd founder Paul Watson earlier this month due to legal issues. Watson is wanted by Interpol after skipping bail last July in Germany, where he was arrested on Costa Rican charges relating to a high-seas confrontation over shark finning in 2002. He is on board Sea Shepherd’s main ship, Steve Irwin, but has stepped down as skipper and has vowed to abide by a US court ruling in December banning the group from physically confronting any vessel in the Japanese fleet. The whaling fleet left Japan for the Southern Ocean in late December, planning to catch up to 935 Antarctic minke whales and up to 50 fin whales. 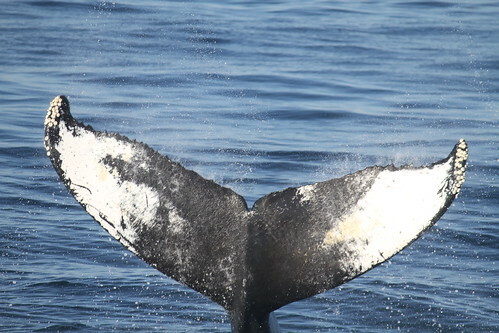 Tokyo claims it catches whales for scientific research—a loophole in the international ban on whaling—but makes no secret of the fact that they ultimately end up on dinner plates. Sea Shepherd’s campaign this year is its biggest yet, involving four ships, a helicopter, three hand-launched drones and more than 100 crew members. “The Sea Shepherd ships intend to keep the whale poachers on the run and divided,” the group said.